The partnership, the first time a vodka brand has sponsored the NHL, will see New Amsterdam feature in programming throughout the season. As an official partner of the NHL, New Amsterdam Vodka will be integrated into several league assets throughout the 2018-19 season, including in-game activations, a campaign across NHL media partners, signage at Stanley Cup Playoffs and Stanley Cup Final games and restaurant and bar visibility. In addition, New Amsterdam Vodka consumers will receive access to co-branded merchandise and will have opportunities to win tickets and exclusive experiences to NHL premier events. 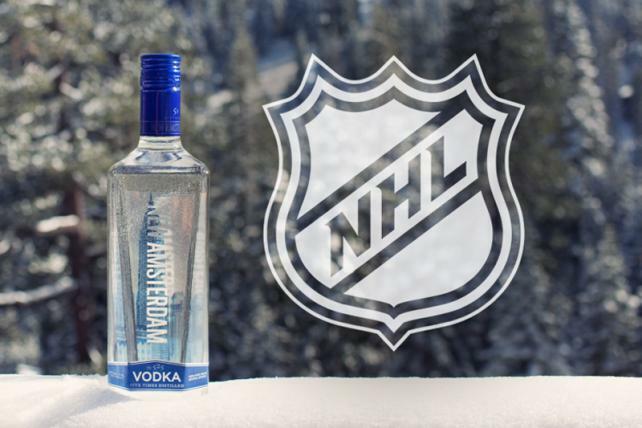 New Amsterdam Vodka will also expand its league support with NHL team sponsorships, building its presence at local and national level. David Lehanski, NHL senior vice president of business development and global partnerships, said: “New Amsterdam Vodka is a strong brand and one of the world’s fastest growing distilled spirits.